Our Air Chef air frying oven has become a popular addition to households. Its compact size means it heats up quickly, allowing you to cook food faster than traditional ovens which are larger and can take a lot longer to pre-heat. In addition to cooking with little to no oil (air frying as opposed to deep or shallow frying), this versatile device also lets you bake, grill and roast a variety of dishes. We’ve put together some of our favourite starters and meals made with the Air Chef air frying oven. Rosemary and parmesan hand cut chips - a winner with both kids and grown-ups. Vegetable frittata is perfect as a light lunch at home or to take on a picnic. Tandoori chicken with mint yogurt can be ready in as little as 20 minutes, although you may need to double up on the portion size and cooking times to ensure leftovers for the following day’s lunchbox. 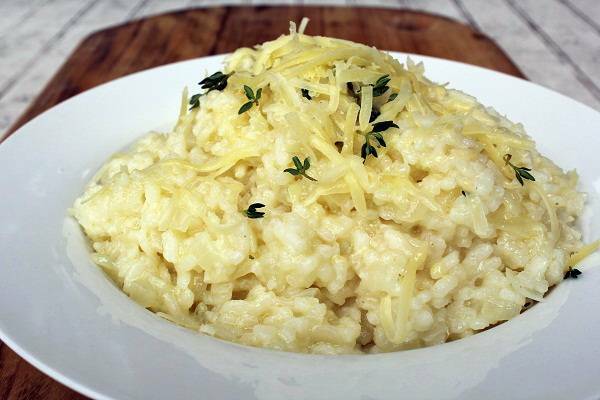 Create one pot cheesy risotto without the arduous stirring action. Spanish style baked eggs - serve with crusty bread or soldiers to mop up the delicious, oozing yolk. If you have an Air Chef air frying oven at home and a tantalising recipe to share, tell us about it in the comments section below. And don’t forget to download our free Air Chef recipe e-book online!